"...The audience is limited to 28, so you aren't crowded. And, should you care to emulate the characters, you can graze and drink your way through your ticket price. Or you can just stare at all the stuff in this house; wondering how Davis built each room and fashioned each joint had my head spinning for a good few minutes before the doorbell rang. My closest previous experience was the Alan Ayckbourn play "House and Garden" at the opening of the Goodman Theatre. This production has some resemblances, but no one there invited you to help yourself to a cracker, with Spam. And you did not get handed a whiskey sour on the way out the door." "...There's a "Choose Your Own Adventure" feel to the play, as competing scenes happening in different spaces of the set mean you may find yourself dashing from the kitchen to the backyard to learn the cause of Beau and Ellie's money problems only to quickly jaunt back inside into the dining room to pick up a conversation about someone's marital infidelity." "...Leslie Liautaud's script is a familiar drama about a group of coupled friends getting drunk and unloading their secrets on each other, but David H. Bell's graceful, intricate direction and the rich performances draw the audience deep into this world. Snacks and cocktails appropriate to the 1961 Georgia setting are served, reinforcing the party atmosphere. It's impossible to witness everything once the action spreads throughout the entire home, but a major part of the fun is piecing together bits of information gathered by being a fly on the wall." "...Ninety minutes of continuous activity involving this many moving parts-did I mention the backyard fistfight?-could dissolve into chaos faster than a soggy spam-and-saltine canape. Fortunately, this Windy City Playhouse production has at its helm David H. Bell, the unsurpassed master of three-ring spectacles. He is assisted by an eight-member ensemble who navigate its confined quarters with drill-team precision to ensure everyone gets his or her just deserts in the end." "...Let me preface my review of the latest production at Windy City Playhouse, by explaining that it is not a play, per se, but in fact, what one might call a "theatrical experience"! While there is a story , of sorts, in reality, we the audience are treated as the proverbial "fly-on-the-wall " that is so often mentioned in theater. This theater, which I believe is now in its third season on Irving Park Road, is the true "black box" in that for every play, they redo the entire venue, except the intimate lobby-bar area. The new production is called "Southern Gothic" written by Leslie Liautaud and is celebrating its World Premiere at Windy City." "...The cast deserves particular praise for managing a very complicated feat of acting. There are basically three to four scenes going on at any given moment, and not only do they have to act their own scene, they have to stay in sync with the other scenes, or the entire evening gets thrown off, all while effortlessly ignoring the thirty people milling about. Anchoring the ill-fated soiree as hostess Ellie, Sarah Grant does a great job careening from angry to controlled and back again that the show demands." "...As the storyline develops, tense issues emerge involving family, race, money, marital infidelity, and political corruption. The mobile spectators move from room to room tracking developments among the increasingly hyper characters. I suspect that many members of the audience had more success connecting the dots among the characters and their problems than I did. I would listen in one room but be distracted by rising voices in the next room, the voices blurring what was being spoken, or shouted. Cumulatively I managed to pick up the multiple threads of the narrative, but at the end of the show I was still groping for who did what to whom." 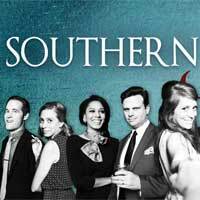 "...SOUTHERN GOTHIC is a totally original theatrical experience. It’s immersive without being interactive. It’s dramatic while being funny. And it’s like life. It’s not just one conversation and one problem. SOUTHERN GOTHIC is a houseful of enough muckrakers and scandals to blow the roof off." "...It's always a risk to try something unique, and in less adept hands, the chances Southern Gothic takes with our expectations of live productions and small ensemble pieces might not have paid off. But this crackling combination of theater and cocktail party serves up a most enjoyable night on the town." "...Windy City Playhouse has put together the most memorable and immersive theatrical experience our city has seen since The Hypocrite’s All Our Tragic in 2014. Southern Gothic could easily become a staple in Chicago entertainment similar to Tony and Tina’s Wedding or the long-running production of Bible Bingo at the Royal George. My only qualm, then, is the theatre’s lack of accessible ticket options. While the play touches (lightly) on race relations in the 60’s, the production’s price point of $75-100 single tickets eliminates many potential audience members from joining in on the fun. The patrons were entirely white and beyond middle age, apart from my guest and I. Perhaps Windy City Playhouse can make a select amount of more affordable tickets available as the production continues in order to make this an experience anyone can enjoy." "...Southern Gothic, which has a limited audience of 28 people per show because of its structure, is an intensely personal experience. The "fly on the wall" characteristic is voyeurism in its most raw form. The fact that, as in real life, different things are happening in different places keeps the focus changing throughout the night; we quickly realize that it is impossible to see and hear everything. If you went back a second time, you could have an entirely different adventure. It is all brilliantly theatrical and an incomparable, absorbing night out, as a good dinner party ought to be." "...Southern Gothic's most distinctive trait is certainly its presentation. Seeing a play like this onstage, with everything laid bare to the audience, is one thing. Choosing what to focus on at the expense of other information triggers a huge shift in how everything is processed. A few times this reviewer was the only person in the room when a scene was going on, and that's probably true of every audience member. Occasionally a violent flare-up or a broken glass will draw everybody's attention. The startling feeling is quite authentic, as is the confusion from never getting to know exactly what just happened. Putting us in the position of the characters causes us to pick up on certain things, like how Jackson is the person most likely to listen in on someone else's conversation or how nervous Ellie is with Charles."